One of the great things about smartphones is that they let us know when there's important information to pay attention to. When your apps have an alert or notification for you, they display a message on the screen, make noise, vibrate, or all three (it all depends on your push notification settings). A lot of people prefer another kind of alert: a flashing light. With this kind of alert, the LED (or light-emitting diode)--used as the flash for your iPhone's camera--blinks when you have an alert. These LED flash alerts allow you to know when you need to check your phone without looking at the screen or having the volume turned on. This is a perfect option for a quiet environment where don't want to be too distracting. An iPhone 4 or newer. Scroll down to the Hearing section. The setting is located here because this feature was originally designed for people with hearing impairments who can't hear their phones ringing when calls come in or alerts are sent. Find the LED Flash for Alerts menu. Move the slider to On (indicated by the color green). With that done, your phone's flash will now blink when you have alerts or incoming calls. Once you have the feature turned on, you're done! The phone does the rest. When you get a phone call, voicemail, or push notification, the LED will flash to get your attention. 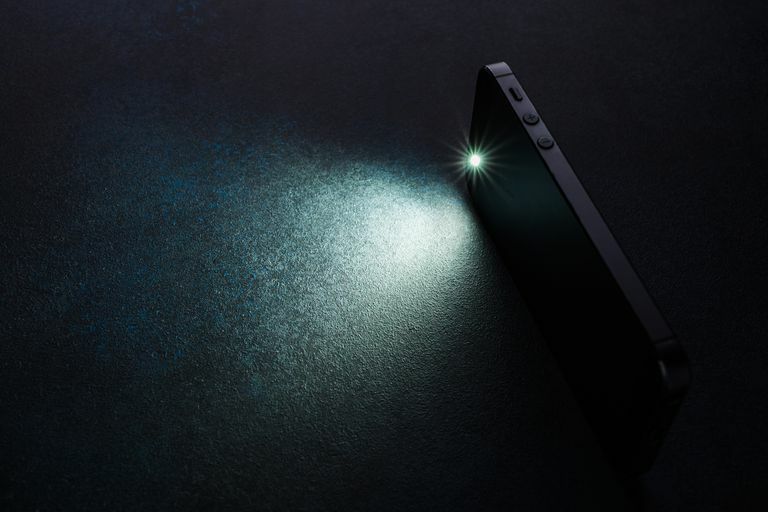 Just remember that it's crucial to keep your phone screen-side down because the only phone's only LED flash is on its back, you won't be able to see the light if your phone is resting on its back.